Missing teeth can be difficult for multiple reasons. Just one missing tooth can make it a struggle to speak, hard to eat, and a challenge to maintain good oral hygiene. There are many options for replacing the missing tooth, and an actual tooth implant might be the best choice for you. Here are 10 reasons you should consider dental implants. A very nice thing about tooth implants is how natural they look. The teeth are carefully designed to look completely life-like and match with your other teeth. They will also feel like your own teeth instead of a foreign object in your mouth. So long as you are willing to care for your implant just like you care for your real teeth your new tooth should stay in place and provide you with the support you were missing in your mouth. Dental implants make it easier to eat the food you love. Some forms of fake teeth run the risk of shifting or breaking while you are eating simple food, but tooth implants stay in place and give you the confidence to comfortably chew. Dental implants are designed to fuse with your bone so they will be as sturdy if not sturdier than your actual teeth. You’ll be able to do your everyday activities knowing that your tooth isn’t going to randomly pop out. If you are missing multiple teeth it can affect the structure of your entire face. By having dental implants put in, to compensate for missing teeth, your face will be able to have better balance and it will improve your overall facial features. Unlike removable teeth, dental implants are convenient because you never have to go looking for them if you are headed out or bother with removing them when staying in. They are always securely with you just like your other teeth. Missing teeth can make it difficult to say certain words. On top of that, teeth that are removable can get in the way when trying to talk. Since dental implants fit and stay just like regular teeth you can finally have the comfort of speaking normally again. Dental implants are built to last. So long as you give them the proper care they should last years and possibly even your entire life. If there are large open spaces in your mouth from missing teeth or where teeth never grew in there is a greater chance of germs and bacteria getting caught and stuck in the gums when you eat food. By putting in dental implants it is easier to keep your mouth happy and healthy. 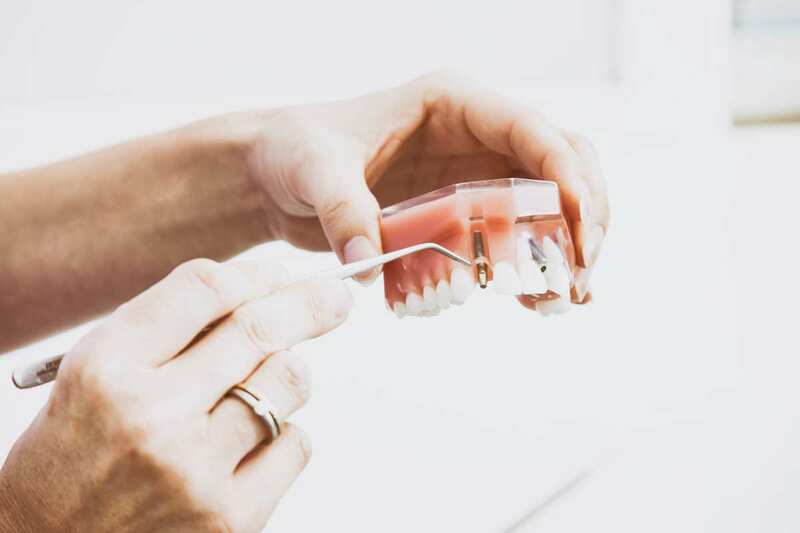 Unlike removable dentures or retainers with teeth, dental implants are permanently connected to your teeth so you won’t run the risk of accidentally losing them. Having missing teeth is not easy, but you don’t have to stay that way. There are many options for filling that gap and returning your life to how it used to be. Dental implants are a great way to ensure your teeth work properly without giving you any hassle.